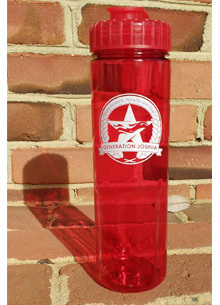 Red with the Generation Joshua Logo emblazoned on it. It's 24 Oz. with a flip top. Staying hydrated is crucial on a Student Action Team and these are just the thing to help you do that.